The Mediterranean island of Majorca is pleasantly warm and sunny all year round, with coastal cities experiencing an average of 300 days' sunshine per year. The southeast part of the island is definitely warmer than the northwest, but whichever part of the island lucky visitors choose to spend their holiday, sun is always guaranteed. Spring in Majorca is classed as being from March until May, and is a good time for off-season travel. The temperature is fairly warm, probably more than expected by many people, and rainfall levels are actually quite low. This time of year is good for those visitors who do not want the busy & bustling vibe that the island provides during high season; however, nights are still a bit cold and swimming in the sea is almost impossible. Most travellers prefer the warm and dry summer that lasts from June until September, because at this time, Majorca provides ideal sunbathing weather and low rainfall levels, as well as the cool, refreshing breeze that makes the high temperatures much more comfortable. Take note, as it is advised to live like the locals and take a siesta during early afternoon when the temperature rises to its peak. Even so, with bustling tourist levels and amazing weather, the summer is a great time to visit Majorca. The best deals for off-season travel to Majorca are in the season of Autumn (October & November), when there is more rain and a slightly cooler, more comfortable temperature. Daytime temperature is still warm and visitors can still enjoy a day spent on the beach without getting cold in the slightest, but take note, night times in Majorca at this time are chilly. Although rainfall levels are at their highest in this time, the island only really experiences quick showers. With crowd levels low and the sea still warm, autumn is a good time for those who would like a post-summer break. 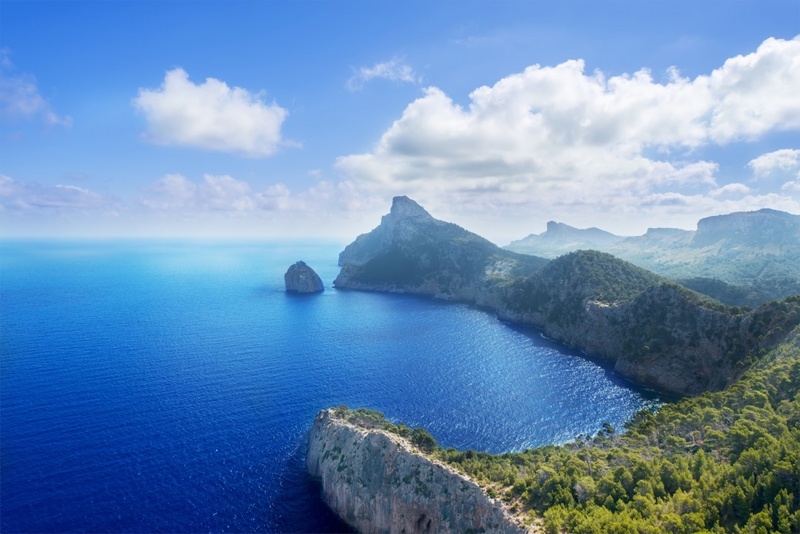 As the winter season in Majorca is not nearly as bad as many places throughout Europe where temperature & daylight levels are concerned, and is much milder, Majorca is classed as a year-round holiday destination. The winter in Majorca has actually been known for sun and fairly high temperatures at this time, but this doesn't always happen. Due to the low temperatures at night, many bars and restaurants within the tourist resorts only stay open for the Summer season, whereas the local bars in cities such as Palma stay open all year round. Though summer has traditionally been the most bustling season to visit Majorca, many visitors are starting to explore the island in autumn and winter. The days may be cooler, but there is still sunshine, and it is an affordable way to escape the cold winter weather at home. The ideal time to come to Majorca might depend on what you are looking for from your island holiday, whether it is sun, swimming, nature, or simply relaxation.